Some people are credited as to wearing their heart on their sleeve. One, such as our guest this week, wears it on his neck. The 59Fifty love runs deep in todays collector, from a certain British Overseas Territory. Alessandro Belvedere is not only a collector of the 59Fifty New Era Cap, but a distributor to the masses. Mr. Belvedere is single-handedly spreading the culture, that we all share, to the public of a group of islands, East of the United States. Now, allow yourself to get to know another great personality in our community. TFD: Where are you from? / Where do you currenty reside? AB: I wear a 7 1/2 or a 7 5/8. I considdered growing my hair out once, but then realized that less and less hats were fitting me. I just couldn't sacrifice them, so I went back to a bald fade, quickly. TFD: Do you remember what your first New Era Cap was? AB: My first fitted was an NBA Eastern Conference all-over fitted. It was red and had all the logos of the Eastern Conference teams on it. TFD: How large is your New Era 59Fifty collection, currently? AB: Currently, it's sitting at 107, but I'm on a trip and I'm sure I will be adding to that. What I tend to do when I travel is take one fitted with me, and I also take an empty New Era hard-case hat holder, that I'll fill up. I went a bit overboard the last time I was in New York City, and ended up having to buy a second case. TFD: What originally caught your eye, in terms of appeal to the 59Fifty? AB: I always liked how clean and tidy the fitteds looked. Whether you're wearing a t-shirt, a football (soccer) jersey, or a button-up shirt, you can rock it with anything. TFD: What would you say is your favorite cap in your collection, and for what reason? AB: My favorite fitted is my black Yankees fitted. It has the Yankees logo filled with cubic zirconias. I got it as a gift from my brother, when he went on a trip to Miami. TFD: Being in Bermuda, what sports do you considder yourself a fan of, and what teams do you follow? AB: With Bermudians, football (soccer) is like a religion. My team is A.C. Milan. I've been a fan for over twenty years. It was my dad's team, and I will keep that tradition going in my family. I like basketball and baseball, as well, but I'm more of an NBA Finals/World Series type of person. It's pretty cool though, when it comes to collecting hats, as I'm tied to any major sport teams that New Era produces caps for. TFD: You started a small business named "Fittedz", exclusively providing New Era Caps to the good people of Bermuda, pimarily by way of Instagram. How's that been going for you? AB: At first, business was going really well; I couldn't keep hats in stock. Unfortunately, my supplier went out of business. I'm currently looking for a new one, so if anyone out there knows of any leads, please feel free to pass on their information. TFD: "Fittedz" offers island-wide delivery. That's a pretty unique feature. Do people tend to appreciate that option? AB: People really appreciate it. I mean, it's a small island, but they love the convenience of being able to comment on a picture on Instagram, or sending me a WhatsApp message, and getting their hat as soon as possible. I remember, one night, it was about one in the morning, and one of my friends had been at a house party, telling people about "Fittedz". He called me up asking if I would pass through, with what I had in stock. So, I loaded up my two New Era hat bags, like the big ones that hold 25 each, and went. I got to the party, made a couple of sales, and a lot of connections. I have a hustlers mentality; unfortunately, I just can't say no to money. Haha. TFD: Do you plan on expanding the business to a website or store-front location? AB: I've always wanted to expand "Fittedz" into something more, whether it was selling Jordans as well, or other trending accessories. I've considered a store-front, but I think I would probably lean more towards the whole online store/app world, once I get it all on track. TFD: What is the fitted culture like in Bermuda? AB: The culture is thriving. For an island that only has a population of 65,000 people, there are a lot of fitted-heads. 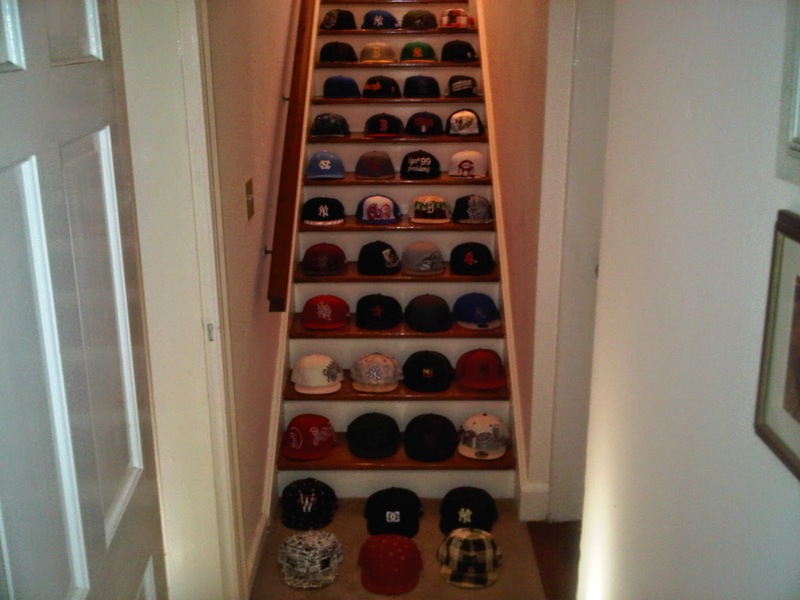 It ranges from your average person who has one or two fitteds, to collectors like myself. The one constant is that almost everyone has a classic navy blue fitted. The only thing we are missing is New Era tapping into the football club market. If they made Milan, Real Madrid, or Manchester United hats, they would sell very well, here. Bermudians love to match a hat to their football jersey, on the weekend. I find the culture here mirrors the hip-hop culture of the states, a lot more than the culture of some Caribbean islands. TFD: Are there any 59Fifty caps out there that you missed out on the first time around, and would consider your "Holy Grail"? AB: My "Holy Grail" is a hat that was once at the New Era Flagship Store in New York City. 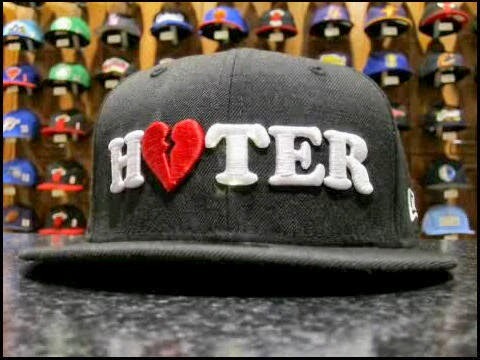 It had "HATER" across the front, with a broken heart representing the "A". If anyone can find me one in a 7 1/2, I'll be indebted to you forever. TFD: You and I are both in the Facebook group accurately dubbed "Team Fitted". What are your thoughts on our fitted-collectors community, and the fitted community as a whole? AB: I think what's been done with "Team Fitted" is absolutely amazing. 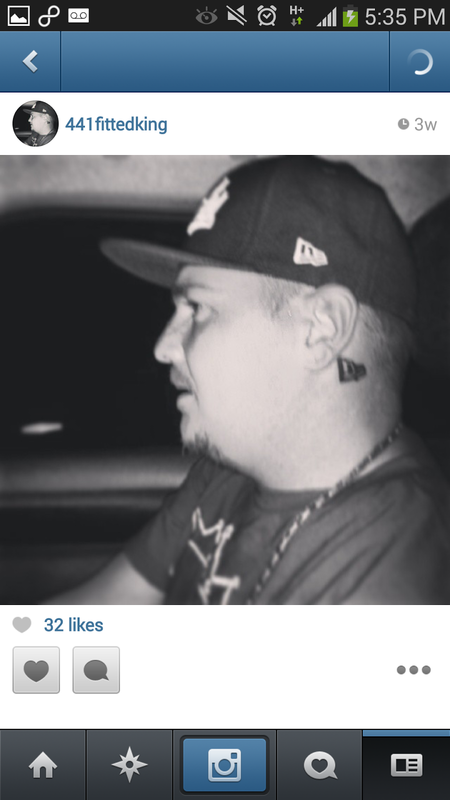 I stumbled across the whole community on Instagram, one day last year, when I had searched the "fitteds" hashtag. I came across Alex's and Ramiro's profiles, with their #FOTD posts; from one follow, to two, to three, to about 30 or 40, I've now connected with a lot of guys from all over the world. I've traded hats and all sorts of things. To be honest, you feel comfortable with these guys and know you wont be getting screwed over. There is a sense of trust amongst us, like a family would have. Everyone is always trying to help one another. It's really a unique experience in this day and age, with so many shady people around. I'd love to see it continue to grow. I just wouldn't like to see it turn into how the whole Jordan community is. I think we keep our style a little more unique. TFD: If people want to follow you, in terms of social media, where can you and your business be found? AB: You can find me personally on Instagram @441fittedking, and on Twitter @_mrbelvedere_. "Fittedz" is on Instagram @fittedz_bda. I look forward to connecting with more people from all over the world, through the fitted community. TFD: Anything else you'd like to add? AB: I'd like to give a shout-out to Andrew Mitchell, who was part of CrewEra '13. I had the honor to meet up with him in Toronto, in November. He linked me with one of his custom fitteds; the whole day was a ball. Thank you, Alessandro. It really is amazing to see how far the love for New Era Caps ranges, all over the world. In the past month, The Fitted Diaries has covered collectors from the United States, England, Canada, and Bermuda. Where will our next Q and A come out of? The only way to find out is to stay tuned. Thanks again for reading.